From Mediaite: An incredibly lucky ending to a missing persons case, reports Mediaite: “Missing for more than 14 hours, 73-year-old Robert McDonough was found alive and safe by a news reporter. 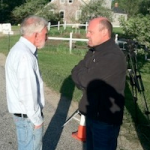 The search for the Limington, Maine resident ended incredibly on Tuesday morning… when he walked up to a news crew that had been reporting on the story surrounding the search for McDonough. WMTW News 8 anchor/reporter Norm Karkos had given an update on the situation just after 6:30 a.m. when McDonough walked up to the crew and spoke to Karkos, identifying himself. He’d been reporting missing around 4 p.m. on Monday, and a search took place overnight.” Read the whole story here. 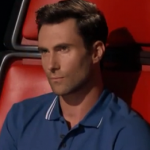 From Gossip Cop: Drama on The Voice last night. Writes Gossip Cop, “Adam Levine was upset aftershockingly losing two contestants on’The Voice’ on Tuesday’s results show, and later found himself in hot water for a comment he made during the eliminations. Right before host Carson Daly revealedJudith Hill and Sarah Simmons were voted off — and all three of Blake Shelton’s three country-singing contestants were safe yet again — Levine could be heard off-camera exclaiming, ‘I hate this country.’ The Maroon 5 front man, who is now down to just one team member, was almost immediately barraged with tweets slamming his seemingly un-American snipe at viewers who cast votes. But Levine took to Twitter a few hours later to insist he was merely joking, going on to accuse viewers of being ‘humorless. '” See what he tweeted here. From Geekosystem: The internet is everywhere… except Ohio? 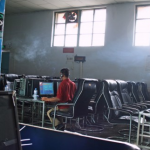 Geekosystem explains, “Nobody’s going to deny that Internet cafes are pretty awful. You’re usually stuck paying 50¢ a minute to wait for Internet Explorer to load on Windows 98 just to view something that most people can access on their phones in about 40 seconds, which is the polar opposite of fun. But the Senate of Ohio seems to hate them more than anyone thought possible, because last week a bill that completely bans Internet cafes in the state passed by an overwhelming majority. In the mixed-up world of Ohio, however, Internet cafes are not the outdated PC receptacles that they are everywhere else. They are instead, according to Cayuga County Prosecutor Timothy J. McGinty, ‘illegal, unregulated, corner gambling parlors [that] have been making tens of millions of dollars by swindling their poor, elderly, and vulnerable slot players. '” Read on here. From Styleite: H&M continues to lead the quest to change fashion’s body image problems. Writes Styleite, “In light of the controversy surrounding the Bangladesh clothing factory fires, as well as H&M’s new workers rights agreement, Metro took the opportunity to speak with CEO Karl-John Persson. The interview quickly turned to other industry hot topics, like model casting dilemmas and the too-thin images they can present. On the subject of model health, Persson made a staggering admission: that H&M has irresponsibly used models that are too thin. He explains: ‘I don’t think we’ve always been good. Some of the models we’ve had have been too skinny. That’s something we think a lot about and are working on. We want to show diversity in our advertising and not give people the impression that girls have to look a particular way. '” Read on here. 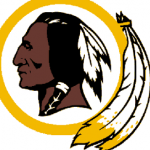 From SportsGrid: Will the Redskins change their name? Another attempt today, reports SportsGrid: “Quick, what’s the first word that comes to mind when you hear the word “Congress”? Efficient? Competent? Good? Sexual? (Probably not, probably not, probably not, maybe.) Our representatives are shoved so far up the asses of powerful lobbies, it’s impossible to say where Monsanto’s lower intestine ends and the face of government begins. And so, incapable of doing anything else worthwhile, a group of 10 Congress members — including several who are unable to vote and a few from parties I’ve never heard of — are pushing the Redskins, once again, to change their name… This is a favorite past-time of elected officials: When unable to pass any sort of meaningful legislation, turn to negligible pet projects that can drum up support in the home state.” Read on here. From The Mary Sue: Science can be crazy. The Mary Sue’s Susana Polo reports on the latest, “One of the tiny, tiny benefits, I suppose, of the glacial melt caused by climate change is that it occasionally affords scientists a better look at what our planet was like the last time that glacier was free flowing water. And while this is certainly a delight to the folks who hunt mammoth bones in Siberia, it also allowed Catherine La Farge and her research team to revive some plants that may have lain dormant under the ice for over four hundred years. We’re just glad it didn’t turn out like The Thing. 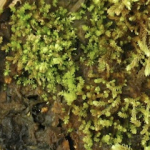 La Farge is an expert on bryophytes, a taxonomic term that includes mosses, liverworts, and some other things you’ve probably never heard of unless you’re also into bryophytes, in which case I salute you.” Read the whole piece here. From The Jane Dough: A new study show almost half of moms are breadwinners for the family, but that society still thinks they should stay home. Writes The Jane Dough, “The Pew Research Center conducted a study, reported on by The Associated Press and Jezebel, that found mothers are the top earners in 4 out of 10 American homes. That is nuts,especially when you consider that in 1960 that number was closer to 1 in 10. Unfortunately, we can’t exactly rest on our laurels, confident that our work here is done and gender parity has been achieved…because the study also reveals some pretty biased thinking about two-parent homes. Some highlights culled by Jezebel: ‘Half the people surveyed said that it’s better for the kids if mom stays home, while only eight percent said that about dad.’ and ‘A lot of people still think single mothers are a ‘big problem’, but there are less of these people than there used to be. '” Read on here. 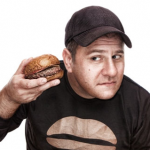 From The Braiser: Umami burger is fiesty and ready to take on NYC. Writes The Braiser, “An ‘okay’ burger in New York City is a ‘really damn good’ burger in most other places in America — unless, of course, you’re asking Umami Burger’s Adam Fleischman. The owner of the cultish burger chain in Los Angeles is taking his patty party to NYC, and if the long lines at his Googa Mooga preview stand indicate anything, all those other burgers had best watch their backs. Fleischman’s already hyping up the Umami Burger for all the New Yorkers who haven’t tasted its umami-ness, but in the meantime, he’s got plenty of smack(ish) talk for all the other famous burgers: ‘New York has some okay burgers,’ he tells New York Magazine.” Read more of what he had to say here.